as a team from project conception to completion. AEA, Inc. is a full service civil engineering and land surveying firm with a proven track record of performance and experience. We have continually and creatively designed quality engineering and surveying solutions for over 30 years. AEA, Inc. has provided engineering and surveying services involving the planning, design, permitting, bid assistance, construction management, start‐up and commissioning of public and private facilities, utilities, and infrastructure. While representing Municipal, Institutional, Commercial, and Private Sector clients’ interests, we apply the skills of project planning/management, project design/administration, and quality assurance to achieve optimum results in terms of cost, function, efficiency, and aesthetics. AEA, Inc. has completed numerous infrastructure projects involving planning, design, permitting, regulatory compliance, economics, specifications, construction management, and start-up/acceptance services for private, industrial, government and institutional clients. In many cases, the Construction Management (CM) services, provided by AEA, Inc. are part of the design contract and in other cases we have performed CM services separately and were not involved in the design. 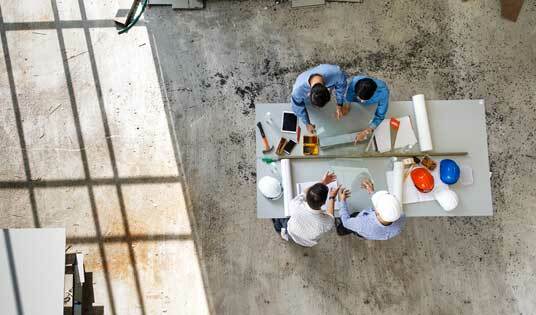 Our key staff of Project Managers is familiar with the administrative, legal and accepted engineering and construction practices & procedures for services required during planning, design, permitting, bidding and construction phases. 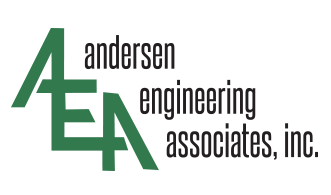 AEA, Inc. recognizes that most organizations have a mix of facilities and infrastructure requiring the engineering services similar to those we have been providing to our municipal, industrial, institutional and commercial clients for over 20 years. Our multidisciplinary staff of Project Managers, Project Administrators, Technicians, Field Experts and Engineers provides a unique capability to support your organization with its Engineering Service Requirements. “Your company has again managed to pull a couple of rabbits out of the hat on the Building #16 Utility and Site Separation Project. Not only was Andersen Engineering Associates successful in convincing the Upper Merion Township and Matsunk Sewer Authority in decisions which were beneficial to the project’s interest, but when the project discovered a design error with only 5 weeks remaining for the building to be transferred to Pfizer, Andersen Engineering Associates managed to supervise the designing, ordering equipment, construction and commissioning a pH neutralization system from scratch within a 5 week period. We have a highly qualified staff of experienced registered professional engineers, licensed surveyors, civil designers, survey crews, and construction observers. Although utilizing “cutting edge” technology is an important part of the services we offer, what sets AEA, Inc. apart is the experience, integrity, and personal commitment of our staff. As a result, we are able to partner with our clients as a coordinated team to take their projects from concept to completion. Please take a moment to fill out our contact form and we will get back to you as soon as we are available.